t couple of days, stats on this blog have been booming. I couldn’t figure out why. I looked, and it seemed all my visitors were coming by way of Google. And they all were landing on this page – the first time I wrote about Le Trapeze. And the second result if you Google “Le Trapeze,” right after the institution’s web site itself. And right before the Yelp review. It occurred to me that, perhaps, there had been a news story about the venerable institution. 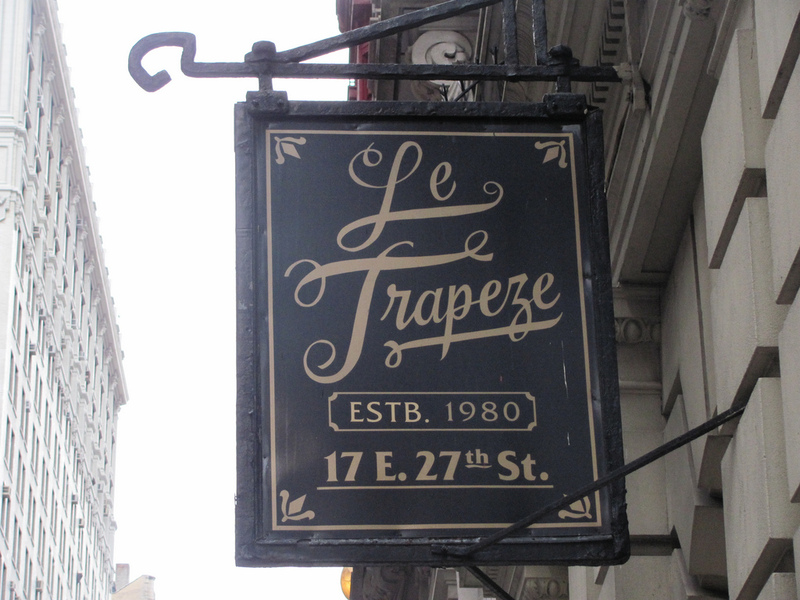 So I went to the Google news results for “Le Trapeze,” and I learned the news: Le Trapeze is closing. The article provides no details, other than to say that the owners of the club couldn’t afford a new lease. I can’t say I’m surprised. The building it’s in is lovely, and it’s in a tony district. I’m surprised both that the place survived economically as long as it did, and that the landlords tolerated it. Oh well. I’m sad. I suppose I’ll have to squeeze in a few final visits before it’s gone. I hope my new visitors enjoy their stay, and look around. There’s a lot more here than just a review of a single swingers’ club. Sad indeed! Do you know when they’re actually closing? I don’t. I was thinking of going tonight, to see if they’re still open. Wanna come? I just found out that they are closing. This is sa since I have been there many times. I do not like that businesses that are good and have been around for years are closing because the rents are too high. I did find the club that has taken it’s place. Bowery Bliss is your classic New York City swingers club. Since the closing of Le Trapeze, it’s arguably now the most popular swingers bar in the city. There’s no bells, whistles, secret passwords, photo uploads, or gimmicks. Instead, picture a dimly lit den with plenty of plush seating, candles, lounge beds, and private corners for stowing away into the wee hours. It’s open to all couples looking to play, swap, or make new friends. Anyone and everyone are welcome, so long as they are over 21.